As part of the New Deal efforts to get the economy moving again, President Roosevelt signed an executive order establishing the Rural Electrification Administration. The loan funds available would be used to get electric & phone service to rural areas. A crowd of 500 gathered to see the first REA pole in the nation set in Piqua. The group included farmers, businessmen, and state and national figures. The date was November 14, 1935. A. E. Halterman, while working with the Farm Bureau, helped start 27 electric cooperatives in Ohio. He left the Farm Bureau to become Pioneer’s second General Manager in 1937 and served until his retirement in 1967. The Charles McKinney residence, two miles south of Piqua, was the first energized by the co-op. Line construction continued, but at a much slower pace once the US entered WWII. Materials were needed for the war effort. Once construction started again, Pioneer was faced with territory disputes. Other utilities realized rural homes and farms would use a lot of electricity, and they wanted that business. In some cases, Pioneer crews would put up a line during the day and it would be taken down and replaced by another company overnight. During the 1950s, Pioneer purchased the building of a former car dealership on Scioto Street to provide more room for its Urbana operations. Constructed in 1959 and 1960, the Pioneer headquarters in Piqua was moved to this facility on US Route 36. The building is still in use today. Line construction equipment advanced in the 1960s with the addition of hydraulics and other developments. The first coal-fired generation unit owned by the Ohio electric cooperatives went into service at the Cardinal Plant on the Ohio River near Steubenville. Power purchases from other utilities to serve Pioneer’s members were phased out by the next year. Pioneer's Sidney office was closed after the construction of I-75 made possible quick response to members in both Miami and Shelby County from the Piqua office. Pioneer was the second utility in the nation (Detroit Edison was first) to test radio-controlled load management of electric water heaters in an effort to conserve energy, improve the efficiency of power plants, and hold the line on rising energy costs in the 1970s. 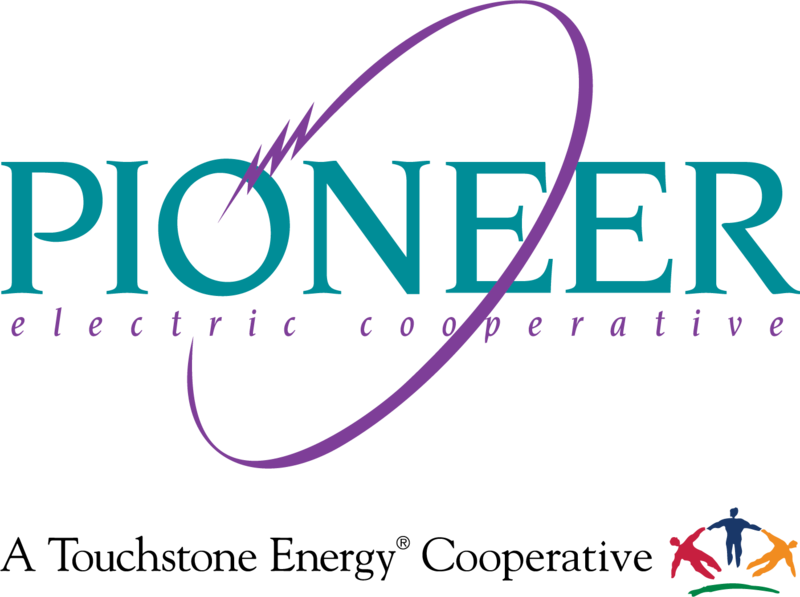 After the success of Pioneer’s pilot, the program was turned over to Buckeye Power for expansion to the other Ohio co-ops. Co-op members have saved tens of millions of dollars in costs over the years as load management delayed the need for expensive new generation facilities to be added. Pioneer membership grew to include two large industrial businesses. Honda built an engine plant in Anna and KTH Parts was established in St. Paris. Together, the two manufacturing plants used about 45% of the total electricity sold by Pioneer annually. Members started seeing Pioneer capital credit checks in their mailboxes. The refunds represent the members’ patronage in the cooperative. The Upper Valley Medical Center was built on Pioneer lines. In critical need of electric service reliability, the cooperative established alternate feeds for the hospital. Several smaller remodeling or addition projects had been completed at Pioneer's Piqua facility primarily to provide more garage and warehouse space. Wanting to put the power to monitor electric use in the hands of our members, Pioneer introduced the SmartHub app for computer and mobile devices in the 2000s. Members can pay their bills, track electric use daily, weekly and monthly, get updates from Pioneer electronically, eliminate paper bills, and more with SmartHub. Pioneer constructed and opened a new Urbana district facility to replace the outgrown building on Scioto Street. The new facility includes the pole yard, adequate warehouse and garage space, expanded office space and a community room. It was also the first Pioneer facility to offer a drive-through payment window for the convenience of members. One important aspect of the facility is its role as a disaster recovery site. The cooperative can continue serving the membership should something strike the Piqua office and make it unusable. The Piqua headquarters underwent a major refurbishment focused on increasing safety & security, enhancing the use of technology, and improving communications and efficiency within the building. Employees get to enjoy the improvements daily, but the real advantage is to the members as we become even more responsive to their needs. Refurbishing the 1959 structure saved at least 50% of the cost of building new. The newest industrial member to Pioneer is P&G. A new 1 million sq. ft. distribution center was built in the City of Union in our northern Montgomery County service territory.